Shambhavi Chopra will connect us to a direct experience of the Goddess and deeper yoga practices. She will talk to us about the essence of tantra and the connection to Goddess in our everyday lives. Chopra will explain how the Yogini is a woman of profound inner experience and realization. 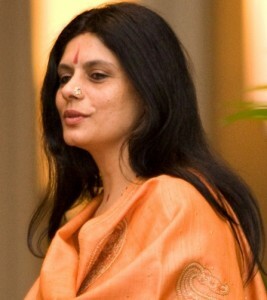 Yogini Shambhavi Chopra is the co-director of the American Vedic Institute.